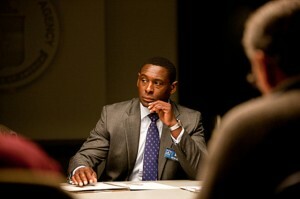 It’s time for part two of our interview with the fantastic David Harewood, star of outstanding US drama Homeland. 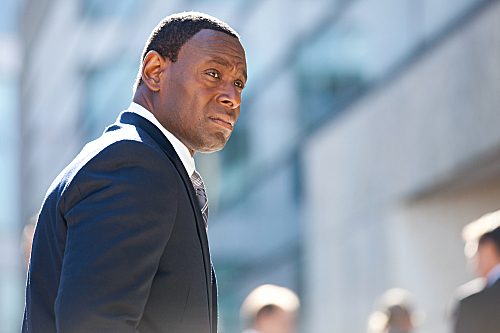 If you missed part one of our David Harewood interview then make sure you read that first. Fair warning: this concluding part of our chat sees David talk through some of the main themes and incidents of Season 1, so you’re about to encounter MAJOR SEASON 1 SPOILERS. So if you’ve yet to see all 12 episodes or don’t mind finding out what happens (and believe us, you’ll want to watch things unfold on screen) then look away around about now. Seriously, last chance. 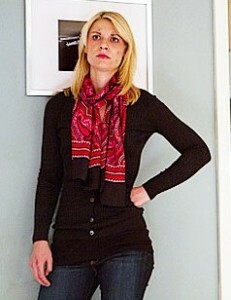 HUGE HOMELAND SEASON 1 SPOILERS AHEAD. Okay, on with the good stuff. 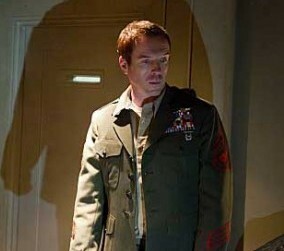 We find out in the final episode of Season 1 that Estes is indirectly involved with the operation that has led to the terror threat that the show is centered around. Presumably that’s something you found out about as you got the final script? Absolutely — and I’ll be honest with you, it was very difficult for me to play the character because I just kept feeling that I wasn’t playing with a full deck. I just didn’t know what side of the fence he was on. I knew he was hiding something — he wasn’t being honest with himself and he wasn’t being honest about who he was. I couldn’t base everything on this petty love/hate relationship with Carrie and I kept wondering ‘Why does he not like Carrie succeeding? Why does he not like her getting closer to this whole question of Abu Nazir?’ I kept wondering what it was all about and I could never really put my finger on it. It was only, as you say, when I got those final scripts [that it fell into place]. It was like getting a huge piece of the jigsaw for me. So I’m really looking forward to going back because I just have so much more certainty about him now. 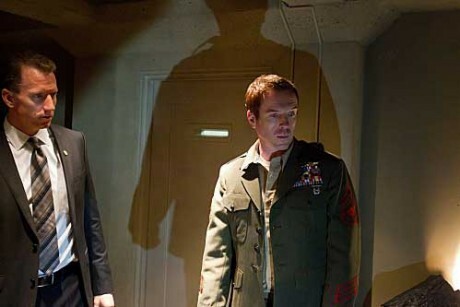 I was actually quite nervous playing him [at first] because I just didn’t quite think I knew him in the early scenes. I was watching Damian, Claire and Mandy do some fantastic work and I kept thinking ‘I don’t feel comfortable yet in my skin’. I was beginning to worry about it. But I decided to just keep it simple because I thought if I keep trying too hard to be one way or another I’m just going to lead myself up into a cul-de-sac. So I just kept it as simple as I could — but when I got those final scripts it was like the ‘eureka!’ moment. 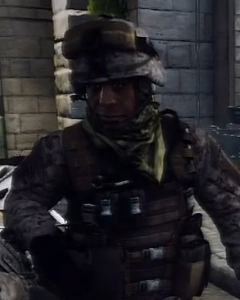 So I feel as though I can kind of unleash now and really relax into this character a little. And I play this guy who’s perhaps taken on a little bit of a dark side, he’s very much a part of something that has not been beneficial to the country or the cause but he’s going to stick it out and it’s kind of a ‘me against them’ mentality. You know, that’s one thing that none of us really foresaw: this fervent search for the mole. Everybody was saying ‘Who’s the mole? Who sneaked in the razor blade? Who is the person that knows the information?’. People on the internet were saying it was me, it was Saul, it was incredible. None of us really expected that to be such a big thing but as you say I think it’s great that the writing has enabled everybody at some point to be guilty — if only for people then to suddenly go ‘no, it can’t be him’ and to keep people constantly guessing. It’s been fantastic to play and as you say we’ve all been in the dark at some point in the show and that’s a testament to the writing. When I first started watching the show I very deliberately tried to avoid any news over whether or not there was going to be a second season — because of the nature of this story and this potential bomb threat as we go though, you’re kind of thinking ‘well, if there’s only one season it would be really amazing and brave and interesting to watch if that bomb actually goes off’. Now, I found out by accident halfway through watching that there’s going to be a second season so automatically I thought ‘well, there’s no way Brody will go through with it then — TV doesn’t do that’. But to the show’s eternal credit all the way through that final episode and the scene in the bunker in particular the atmosphere is absolutely electric and I was kept guessing right until the last minute. The show is written by a group of seven writers and they are perhaps some of the most proficiant writers in television at the moment — truly exceptional, each and every one of them. And one of the great things is that they’ve all decided to come into the room and say ‘what if?’. They write the scripts and they then come together and say ‘what if we do this or do that?’. I think when they originally went into the room Brody actually was going to press the button, so it’s again a testament to the quality of the writing that they are prepared to really push things to the limit, to push boundaries and argue their points — and that they’re also open and prepared to listen to opposing voices and go down routes they hadn’t individually thought of. We’re very lucky that we’ve got such a fantastic group of talented writers that can be so imaginative and are prepared to take so many risks. I suppose with TV there’s always this struggle of finding the right balance between having a show that has a strong central story that can find an audience from the outset and one that can potentially be stretched on for multiple seasons if it’s received as well as something like Homeland. Can that affect the quality of the work when they can’t be sure how long they have to tell their story? They won’t do it [with Homeland]. At least two of these guys worked on 24 and they have acknowledged that 24 perhaps went on a bit too long and they really don’t intend to do that with Homeland. Particularly the Carrie/Brodie arc, you can only do that for so long so I don’t think they’re going to wring it out too much. From what I gather the show has a finite story arc and I think they want to bring it to a close as opposed to flog it like a dead horse. That’s great to hear because it must be so difficult as a writer or a showrunner when a show is so well received to keep that kind of integrity if you get into kind of a ‘Lost’ situation where the hype around the show means that people want it to go on for years and years and you get to the situation where you think ‘how are we going to stretch our story out for this long and keep getting our paychecks?’. You always hope that the people behind the show are going to keep that integrity and see the show as something that has a natural length. I think they’re all aware of that and I trust them not to abuse it. I think they know it’s too good. They’re aware of the enormous impact that the first season has had and I think to match it is going to be extremely difficult — but if anyone can do it I would say these guys can because they’re just brilliant at what they do. Claire Danes was honoured at the Golden Globes; as we touched on before Homeland genuinely does have an incredibly strong cast but she really earned that award, especially as she’s unravelling towards the end of the season. Oh yeah. She’s quite the most fantastic actress I’ve ever worked with. I have to say, sharing a scene with her was the highlight of my year last year. She was just fantastic — and not just a great actress but a lovely person as well, very approachable. You know we’re just so lucky to have the cast that we’ve got; it’s an absolute pleasure to go to work. I also loved the scene with you and Mandy Patinkin in the final episode where he confronts you with the redacted report — that was incredibly powerful. Yeah, absolutely. As I say, getting scenes with Patinkin, Danes, Lewis — they’re genuine highlights of my career. These are just fantastic moments for me. Whenever I get my scripts, wherever I am — you know, you’re in the car, in the supermarket — you hear that ‘ping’ from the email, you look at it and it says ‘Homeland scripts’, you just sit down immediately or pull over wherever you are and just read it. Because, you know, you want to know what’s happening — you go ‘oh great, I’ve got a scene with Claire’ or ‘great, I’ve got a scene with Mandy’. You just think ‘I can’t wait’. There are certain scenes with this show when you get the script and you just think ‘I cannot wait to play this scene’ — and that’s rare. 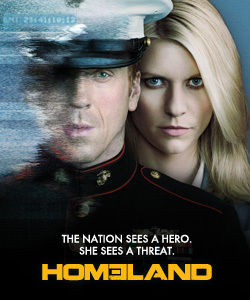 Nine times out of ten you just think ‘I can’t wait to the end of the day so I can get home’ but with Homeland you think ‘I just really can’t wait to play this’ because I don’t know what Mandy’s going to do, for instance, I don’t know how Mandy’s going to do it. It’s a very, very exciting gig for me. It really is. And as we spoke about earlier, the whole extended cast were superb throughout the whole of that first season. Oh yeah. Like the fantastic girl who played the prince’s girlfriend, Brianna Brown. She was so great but the fact that they can be so brutal with a character like that is a testament to the quality of the show. That they can dispense with such great characters but not in a cheap way — it has a real impact. I think it’s the quality of the writing more than anything else, the writing is just extraordinary. You’ve been really generous with your time, so just one more thing to wrap up. Obviously you’re gearing up for Season Two now. When do you begin work on that? We begin work in May. I’ve just secured my apartment — I’m going back to the same place I was staying year. Looking forward to that very much. Yeah, some time in mid-May we’ll crank up. I’m really, really looking forward to it. Last year was one of the best years of my life, so I’m very excited about going back for Season 2. And do you know much going in? Absolutely no idea; none of us do. And that’s part of the exciting thing about it — you just have no idea what’s going to happen. So I’m looking forward to getting the scripts — you know, even as a punter I want to know what’s happening next! From the buzz around the show, it’s clear that there are plenty of people who feel the same way. Yeah, it’s great. I think more people have seen it since the Golden Globes than before so hopefully for Season 2 the numbers should be extraordinary because the interest that has been built up in the show has been incredible. I think we’re already the highest rated show on Showtime ever. 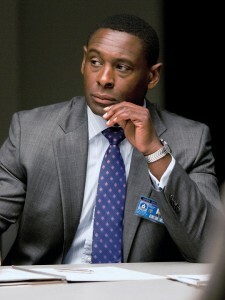 Click here to read part one of our David Harewood interview.